Scion has revealed the iM Concept car at the 2014 Los Angeles Auto Show and announced that a production version of the five-door hatchback will be reaching US dealerships in 2015. The iM Concept (“i” for individuality, “M” for modern, multifaceted and magnetic) is based on the European-spec Toyota Auris. The wide-hipped, low-slung showcaar is presented in “Incrediblue” paint with matte silver and gunmetal accents. Geometric grille inserts, deep air intakes and fog lights, 19-inch forged alloys, brakes with vented rotors and four-piston front calipers, plus adjustable-height suspension gives it an overtly sporty flavour. Details on the production version’s transmission, engine and tech will be revealed in 2015, along with the price. Toyota’s youthful brand is hinting at sticker price of under $20,000 (RM67,314) to entice younger customers. 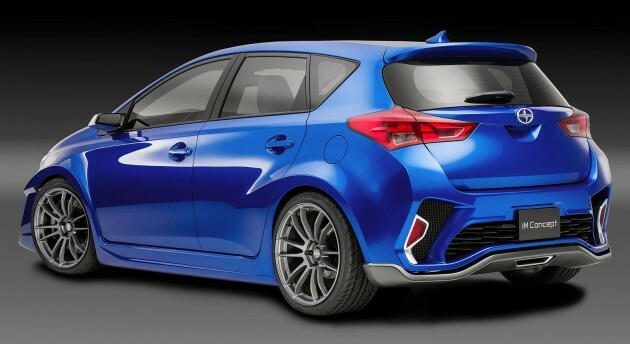 Scion’s Auris will make an appearance at the 2015 New York International Auto Show in April, along with another new model. “The two models we’re debuting in New York next spring are just the beginning for Scion. 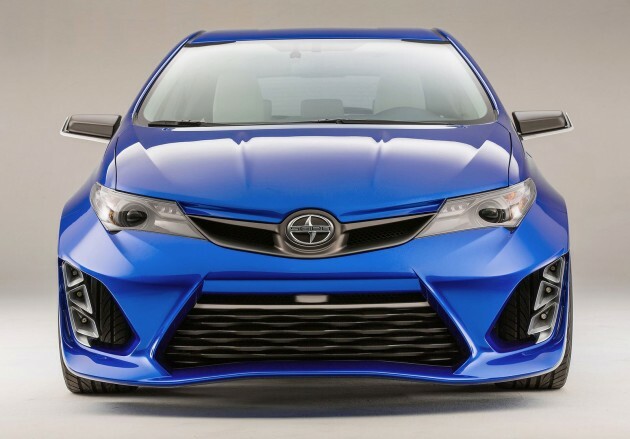 We plan to bring three new products in three years to our showrooms, offering a variety of exciting options for current and new Scion customers,” said Scion VP Doug Murtha. Sell in the US for US$20,000. Average US wage earner earn US$4000. Even the McDonalds guy there earn around US$4000. So, outright, can buy the car with 5 months of savings if the buyer don’t eat or spend. Come to Malaysia, car will be RM120,000 to RM160,000. 78.6% of all EPF contributors earn RM3000 and below. So, with our weak ringgit and weak earning capacity, the Government still want to screw us with high car prices? KZM will say this is BS cause McD workers earn less than US$2000 there. Haha.. I don’t know why this guy mati2 want to backup our BS gov. On average/median Malaysians earn a lot too. That doesn’t mean normal people have a lot of money, just that there are many really rich people. McDonald’s employees tend to work several jobs besides just to survive… just to have enough food to eat and a roof. Not trying to defend the Malaysian government, but America is a bad example. Poverty is very serious there. People can’t even afford to go to the doctor. And that’s not just jobless people. In the looks department, this Auris-based Scion is definitely in a different league compared to the original Toyota Auris. Makes you wonder what will happen if Toyota decided to slap the Toyota badge on it and market it as the hot-hatch version of the Toyota Auris in Europe (equipped with a high performance engine of course).I would’nt be surprised it will gain positive or even rave reviews from the hot-hatch world..
And Khazanah just did a study saying installment plans in Malaysia are leaving Malaysians high and dry with 7-9 years loan commitment. nice design compared to the original prius.